William Dolby Skeen and Mary Davis Skeen were among the first settlers of Plain City. William Skeen owned a race track in the south end of Plain City, which was called "Four Mile". He owned two famous race horses that he brought from Europe. 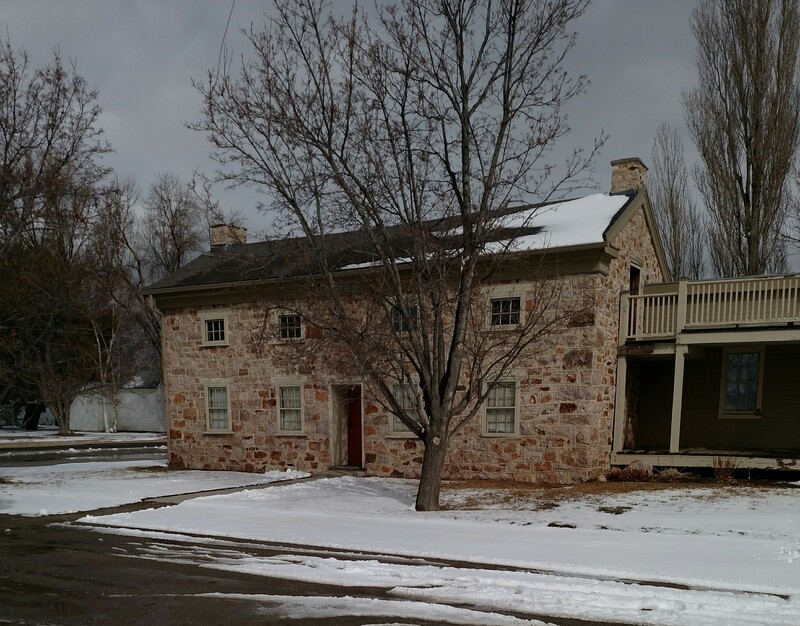 William also built the first rock house in Plain City. 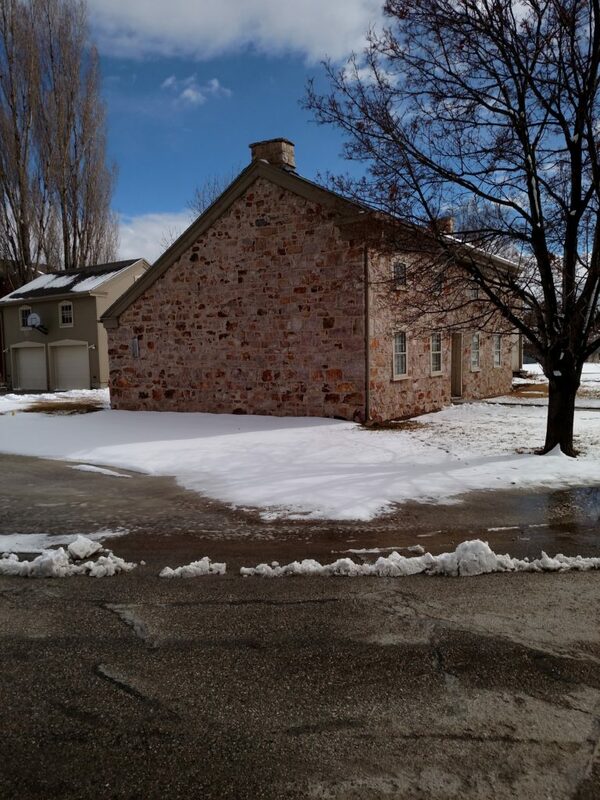 The rocks used to build this house were hauled from the Hot Springs Mountain area. Old rock house, by William Dolby Skeen, as it appears today. 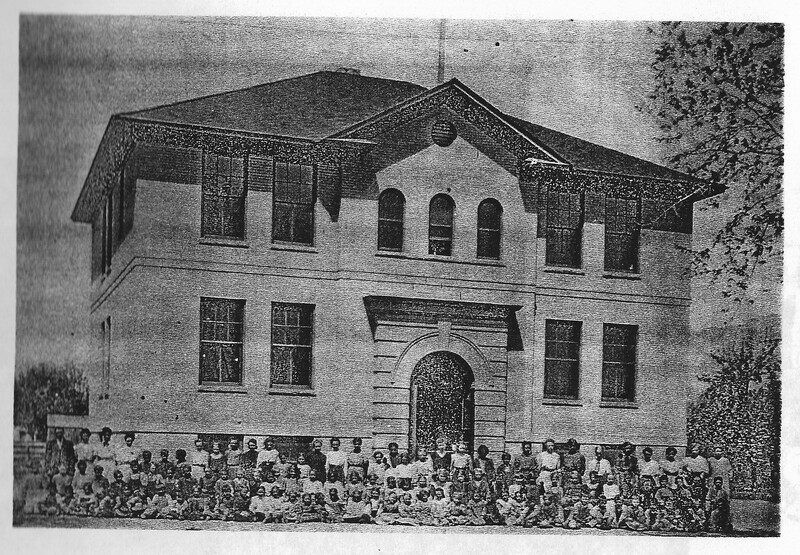 This public school building, finished in 1906, was located near Town Square. 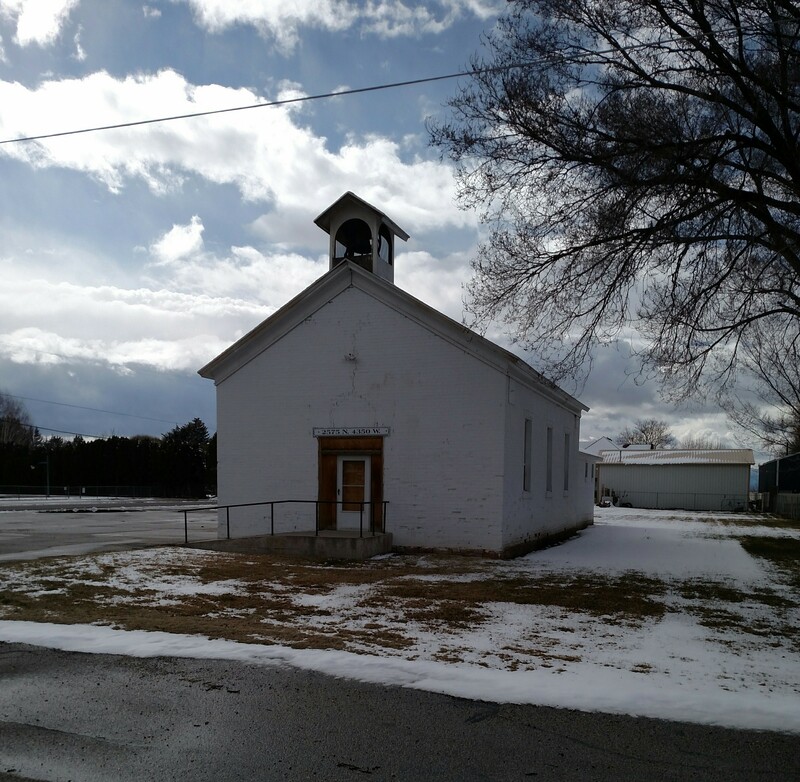 It held grades 1 - 10 until 1947, when it was established as Plain City's first elementary school. A gymnasium was eventually added to the east side, and a cafeteria was added to the west. 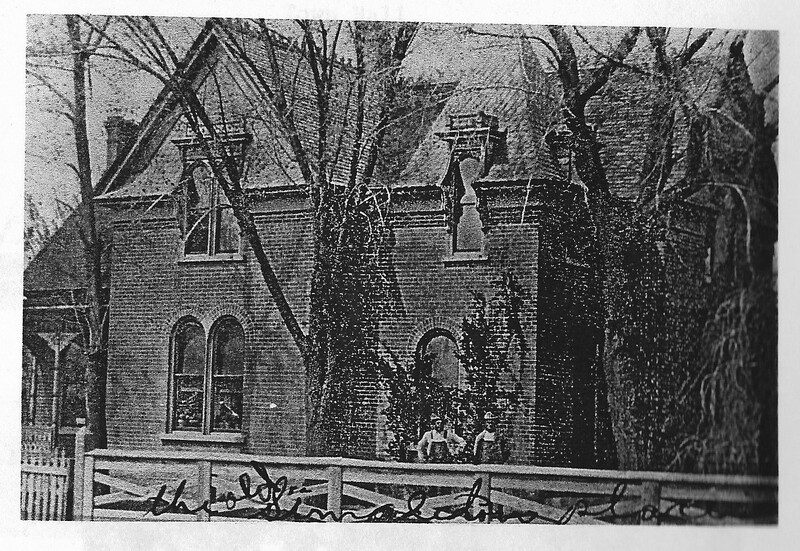 The building was demolished in 1955. The additions remained as part of a new Plain City Elementary. 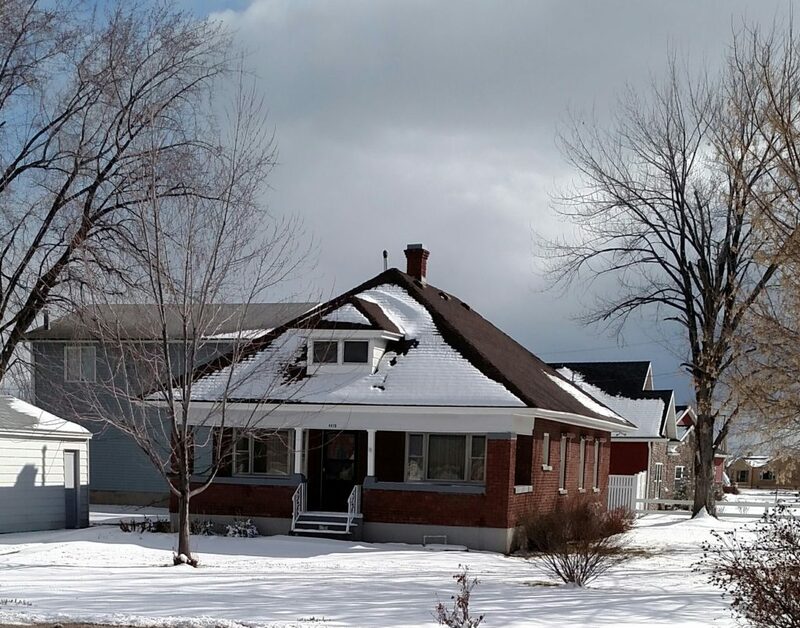 Roland Etherington purchased the McElroy Store from Geo McElroy and opened Roll's Garage in 1931. 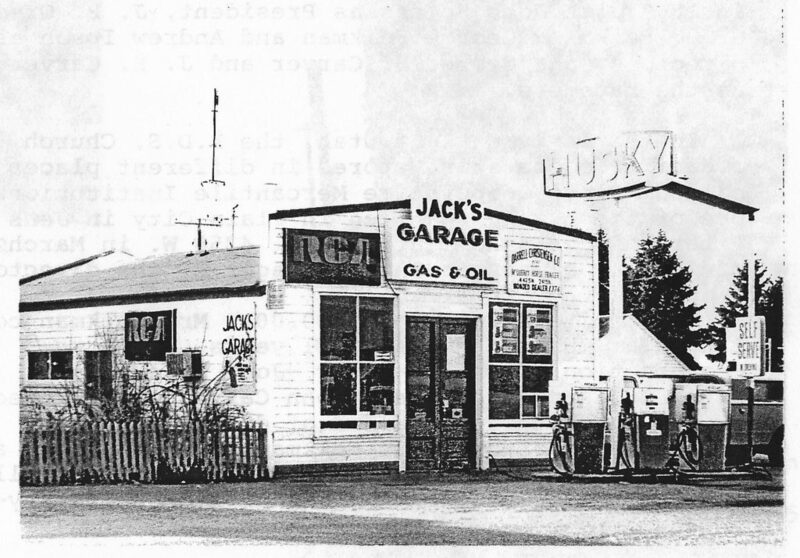 After his passing, in 1959, his son John took over the business and changed the name to Jack's Garage. This house was kept in the Singleton Family for several years - handed down to Art and Florence Singleton Simpson who owned it into the 1970s. 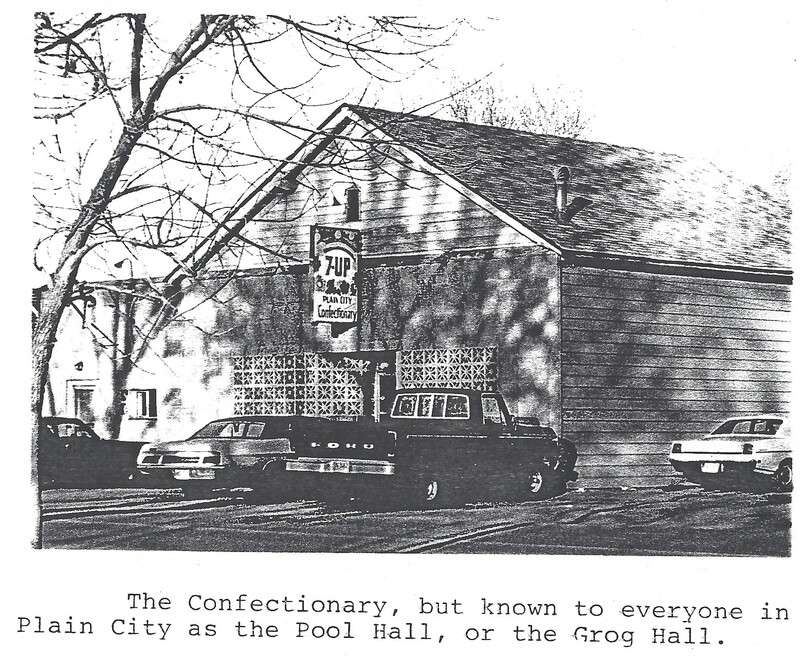 Officially "The Confectionary", but known to everyone in Plain City as the "Pool Hall", or the "Grog Hall". 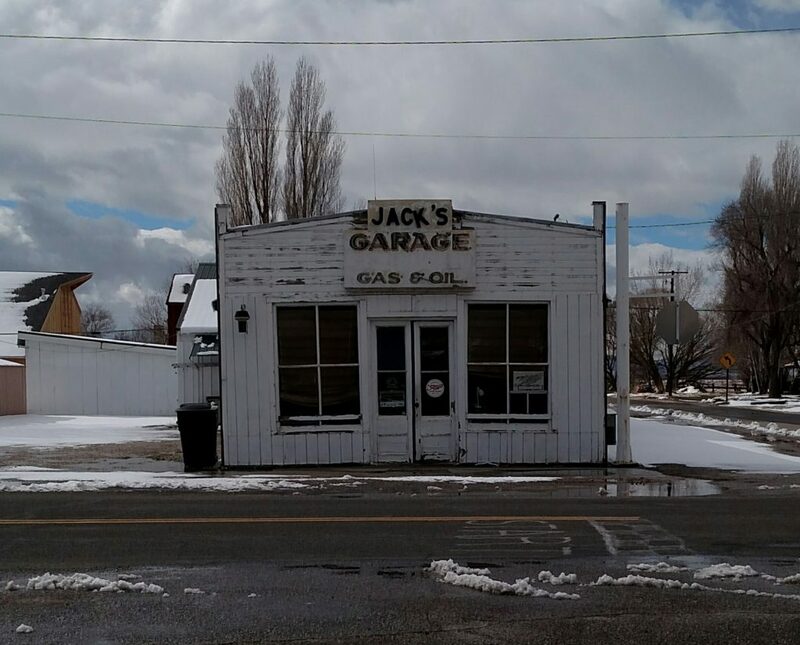 Jack's Garage as it is today. 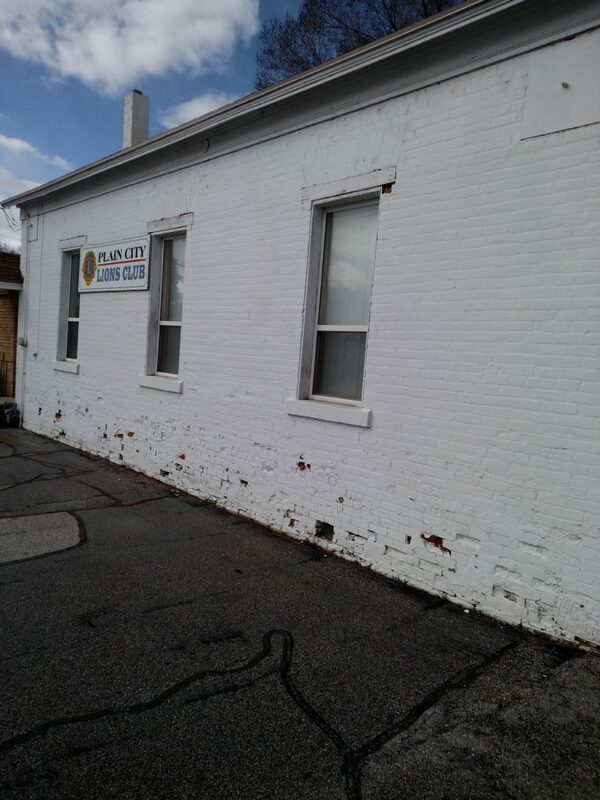 Erected in 1877 as an Episcopal church house, the building still stands - and is in better condition than ever because of the care and maintenance the Plain City Lions Club provides. It was renovated in the mid-1970s, including repair of the 500 pound memorial bell.